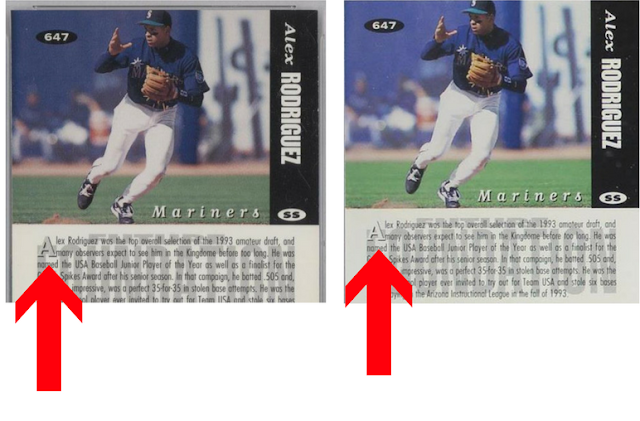 A Cardboard Problem: 1994 Collector's Choice gives me a headache; How many Derek Jeter variations are there? As I replied on Twitter, I never knew this! 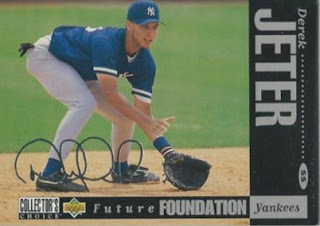 I actually don't think I have the '94 Collector's Choice Jeter in any form! Suzy , You got it right ! If there were any other variations , we would have definitely seen them by now . The most recent variation to surface for the Jeter 1992-1996 run is a 1996 SPX card where the front is Silver and the back is Gold . Nelson and myself have only ever seen the one that Small Traditions had up for auction a few months back . The search continues !